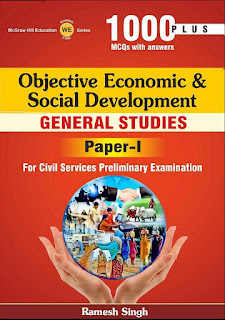 Economic and Social Development pdf by Ramesh Singh for UPSC CSE exam, download Now. Economic and Social Development Ramesh Singh 10th Edition: is a very useful book for competitive exam like UPSC Civil Service Examination. This book contains more than 1000 MCQs on Economics and Social Development. You can practice with that and also will help you in Exam View.